Photographers for the now-defunct Life magazine produced some of the most iconic images of the 20th century and left behind an archive of around 6.5 million photos. It’s an important historical artifact, but it represents a big challenge for any human who wants to catalog and explore it. That’s why Google has stepped up to the plate and announced today that it’s used its AI skills to create Life Tags — a new, searchable archive of Life photographs. It’s an impressive feat and features hundreds of interesting tags — from abbey to aikido, and sailboat to Samoyed. It’s also a bit slow to load, makes easy mistakes (check the “computer” tag and you get plenty of pictures of pianos, for example), and misses many useful categories, including the photographer, date, and who appears in each picture. The latter would have required a bit of extra analysis, but Google certainly knows how to do facial recognition. See, for example, the Arts & Culture app, which became a surprise hit in January when it let users match their selfies to famous portraits. Art Palette lets you match the colors in photos you upload to those of famous artworks. Indeed, the launch of Life Tags is part of the same initiative that spruced up Arts & Culture, as Google uses its AI and machine learning expertise to breathe new life into its artistic projects. 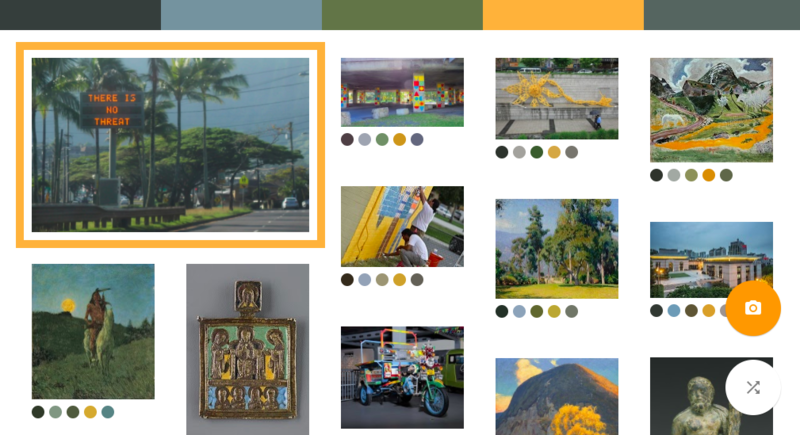 Alongside Life Tags, the company also unveiled a feature called Art Palette, available on the web or on the Arts & Culture app, which lets you browse paintings, sculptures, and textiles based on the colors in images you upload or snap. For designers and artists (or just the artistically curious), it’s a fun little project. As ever with Google’s extracurricular AI work (including its musical experiments and free educational courses), the intent behind these products seems like a mixture of curiosity, philanthropy, and marketing. But hey, we get to explore some cool photos and artwork, too.